Read product labels, medicine bottles and restaurant menus with ease! 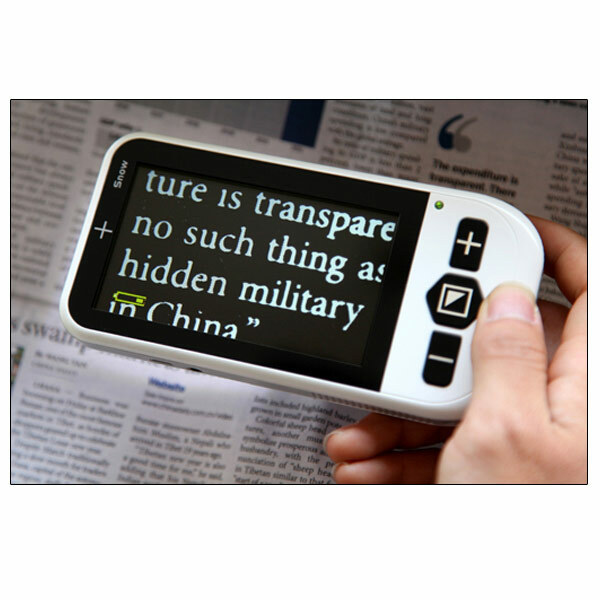 The Snow Handheld Video Magnifier offers a high quality image and up to 16x magnification in a compact, portable and stylish design. It features a 4.3" color screen with 10 high contrast viewing modes and smooth magnification adjustment. * 2x to 16x magnification.